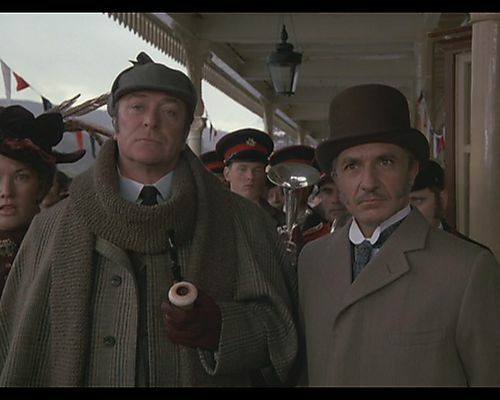 With Guy Ritchie’s new Sherlock Holmes movie due to be released in theaters this Christmas, I had decided to watch another Holmes film called ”WITHOUT A CLUE”. Directed by Thom Eberhardt, the movie has the distinction of turning the Sherlock Holmes mythos on its ear by presenting a premise similar to the 1982-1986 NBC series, ”REMINGTON STEELE”. For the third time in my life, I saw a movie that was based upon a popular toy franchise. The latest movie with this particular premise turned out to be ”G.I. JOE: THE RISE OF COBRA”. And if I must be honest, I ended up seeing the movie under confusing circumstances. I never had any intentions of seeing ”G.I. JOE”. Let me make this perfectly clear. After the mindless action of the two”TRANSFORMERS” movies, I had vowed never to watch another action movie based upon a popular toy. In fact, I had intended to see the new comedy, ”JULIE AND JULIA”. My family and I ended up watching ”G.I. JOE”, because I thought a relative of mine wanted to see it. As it turned out, my relative thought ”I” wanted to see the movie. Which goes to show how dangerous the lack of communications can be. We ended up watching a movie that neither of us had intended to see. Stephen Sommers, the creator of the recent ”MUMMY” franchise and director of the first two movies, directed this tale about the G.I. Joe Team, a covert unit of international special forces commandos, under the command of a U.S. Army general named Hawk (Dennis Quaid). Original, huh? Following an attempt by terrorists to steal nanotechnology-based warheads, two regular Army commandos – Conrad “Duke” Hauser and Wallace “Ripcord” Weems (Channing Tatums and Marlon Wayans) – join the “Joes” in an effort to prevent the warheads from falling into the hands of terrorists. During Duke and Ripcord’s training at the G.I. Joe’s command center in North Africa, two terrorists named the Baroneess (Sienna Miller) and Storm Shadow (Lee Byung-hun) attack the base and in the process manage to wound General Hawk and steal the warheads. The Team eventually learn that the warheads’ creator – James McCullen (Christopher Eccleston), owner of an arms manufacturing company called MARS – was responsible for the attack and wanted the warheads back for his own nefarious means. What can I say about ”G.I. JOE: THE RISE OF COBRA”? It was simply your typical summer action blockbuster based upon a popular franchise. And like many of these action films, it was filled with the usual explosions, violence, silly one-liners and special effects. Nothing special. Nothing original. It also featured an underwater battle between the “G.I. Joe” Team and McCullen’s troops. I read somewhere that Sommers wanted to pay homage to the 1965 James Bond movie, ”THUNDERBALL”. Well, he certainly succeeded as far as I am concerned. Sommer’s underwater battle in”G.I. JOE” seemed just as boring as the one featured in ”THUNDERBALL”. Surprisingly, ”G.I. JOE” turned out to be better than I had expected. In fact, the movie possessed enough attributes for me to enjoy it. You heard right. I actually managed to enjoy ”G.I. JOE”. Despite the usual action nonsense, the movie turned out to rather enjoyable. More importantly, screenwriters Stuart Beattie, David Elliot and Paul Lovett included several twists in both the plot and some of the characterizations that took me by surprise. And ”G.I. JOE”does not strike me as the type of movie that could generate that kind of surprise. Another aspect of the movie that allowed it rise above the likes of the ”TRANSFORMER” movies, was its exploration of background stories of characters like Duke, the Baroness, McCullen, the Baroness’ brother Rex Lewis (Joseph Gordon-Levitt) and the two former rivals, Storm Shadow and one of the “Joes”, Snake Eyes (Ray Parks). The movie also featured a surprisingly effective action sequence set in Paris – a sequence that ended with some noteworthy special effects produced under the supervision of Christian Roberton and shot wonderfully by cinematographer Mitchell Amundsen. Another aspect of ”G.I. JOE” that impressed me was its cast. Aside from one particular actor, the actors and actresses struck me as surprisingly impressive. Channing Tatum led the cast as Duke, the Army Special Forces officer who decides to join the “G.I. Joe Team” in order to continue his assignment regarding the nanoprobe warheads. Duke is also haunted by a past tragedy that involved his former girlfriend, Ana Lewis aka the Baroness and her brother, Rex. Tatum has been making a name for himself as a up and coming actor for the past three years. I have to be honest. He does not exactly appeal to me as a screen presence. But I must admit that he is a solid actor and did a very competent job with his role. Portraying Duke’s best friend is comic actor, writer and producer Marlon Wayans. 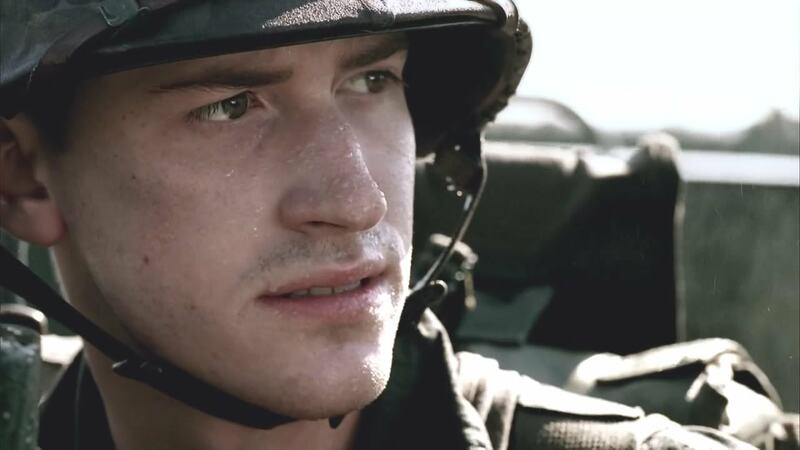 He portrayed Ripcord, another Special Forces soldier who decides to follow Duke in joining the “Joes”. Ripcord also harbors a desire to be acknowledged as a top military pilot and he falls in love with another member of the “G.I. Joe Team”. As expected, Wayans provided a great deal of laughter in a role that could easily be labeled as comic relief. Only in this movie, Ripcord has a well written romance and managed to save two major capital cities in the movie’s finale. Wayans not only handled the comedy with great ease, he also did a solid job in his romantic and action scenes. The supporting cast was filled with first-rate actors and actresses that provided solid performances. I especially enjoyed Sienna Miller as Duke’s conflicted ex-girlfriend, Ana Lewis. Family tragedy led her to join McCullen’s villainous team and change her name to the Baroness. It seemed quite obvious that Miller was enjoying herself in the role. And Rachel Nichols gave an interesting performance as the brainy and uptight Scarlett, who learns not to open up her heart to Ripcord’s humor and warmth. Also, she and Wayans provided great screen chemistry. And it was great seeing Adewale Akinuoye-Agbale again, after three years. I have not seen him since early Season 3 of ”LOST”. In this movie, he was his usual commanding self as Hershel “Heavy Duty” Dalton, the team’s ordinance expert who acted as field commander of the “Joes”. I also enjoyed Said Taghmaoni as Abel “Breaker” Shaz, the Moroccan hacker and communications expert that harbored a fondness for bubble gum. I especially enjoyed his performance in a scene that featured his character’s dismay at being banned from French soil, following the Eiffel Tower debacle. I have to give kudos to Lee Byung-hun for giving a convincingly complex performance as the villainous Storm Shadow. Christopher Eccleston was pretty solid as the main villain, James McCullen. And Joseph Gordon-Levitt was a hoot as Ana’s slightly neurotic brother, Rex Lewis. There was one performance that failed to impress me. And it belonged to Dennis Quaid as General Hawk, leader of the “G.I. Joe Team”. Now, I have been a fan of Quaid for years. Out of all the performances in the movie, his was the only one that turned me off. How can I put this? Quaid’s General Hawk sounded and behaved like an authority figure – whether it be a police officer, politician or military officer – from a 1950s or 60s “B” movie. You know – he spouted the usual flag-waving crap in a very exaggerated manner that came off as stiff. I only thank God that it was a small role. Before I saw ”G.I. JOE”, I had suspected that it would become another ”TRANSFORMERS” or ”TRANSFORMERS 2”. Unlike the two Michael Bay movies, I did not have to turn off my brain to enjoy the film. And that surprised me, despite the movie’s flaws. Also, Stephen Sommers did a pretty good job in directing both the cast and crew to create a surprisingly entertaining movie. He also had the good luck to work from a solid script that provided a few good twists and surprises. ”G.I. JOE: THE RISE OF COBRA” is not a cinematic masterpiece or exercise in intellectual introspection. If you want a movie that you might be able to enjoy with kids . . . or even a few friends, then I would recommend it. Olivia and Cecile strode inside the police squad room, attracting admiring glances from the former’s co-workers. And a hard stare from her partner. “This is my friend, Cecile Dubois,” Olivia answered. For the first time, Olivia noticed that her friend seemed to be in a trance. Frowning, she gave Cecile a slight jab in the side. “Cecile? This is Darryl Morris, my partner,” she repeated. “Huh?” Cecile blinked. “Oh, nice to meet you.” Her eyes roamed appreciatively over the tall man, as she shook his hand. “I see the wedding ring,” Cecile hissed back. Cecile quickly replied, “Nothing. Well, it’s nice to finally meet you, Darryl.” Once again, there seemed to be a glazed expression on her face. “I’m fine. Just a little tired. After I finish shopping, I’m going to take a long afternoon nap.” Cecile smiled as Olivia handed her the keys. “Well, I’ll see you later. Nice meeting you, Darryl.” And she strode out of the squad room. The two partners continued to stare at Cecile’s retreating form. Darryl turned to Olivia. “What was that about?” he asked. Olivia shrugged. “I have no idea. Maybe she’s just tired.” Then she recalled the gasp Cecile made when the latter first met Cole. “Then again . . .” Still deep in thought, she headed for her desk. Darryl stood up. “That’s it. Something is wrong. I don’t know, but if your friend is the same as Phoebe, something doesn’t bode well for me. Let’s go. 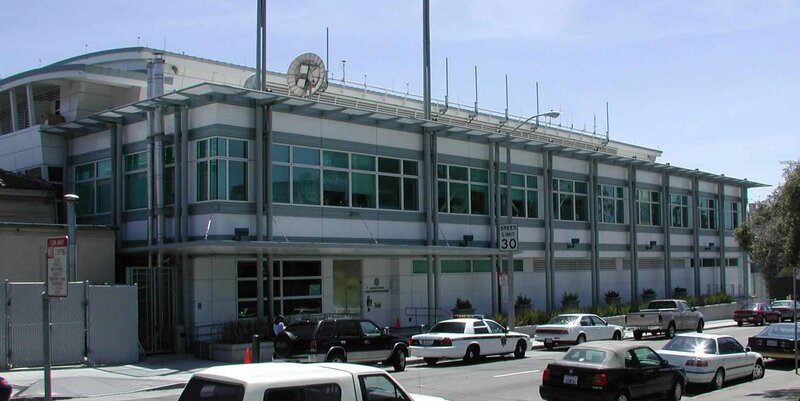 Maybe we can catch up with her in the parking lot.” He grabbed his jacket and started toward the door. Heaving a sigh, Olivia slid out of her chair, grabbed her jacket and followed her partner out of the squad room. Eleanor replied crisply, “Yes, Mr. Turner.” Over a month ago, Barbas, the Demon of Fear had plotted to steal his powers, by manipulating his mind. The former tricked Cole into believing that Lauren, his first secretary, was actually an unforgiving Phoebe bent upon convincing him that he was evil. In a desperate attempt to cease what he believed to be Phoebe’s endless words, Cole nearly strangled Lauren. He eventually managed to convince both Lauren and his bosses that some stranger at a party he had attended the night before, had drugged his drink with a hallucinogenic. Thanks to a police officer working on a case involving recent assaults upon wealthy partygoers, the firm’s owners and Laurel seemed willing to accept Cole’s explanation. Laurel also accepted Cole’s apology. But she refused to continue as his secretary. Cole did not blame her. Instead of crying over spilled milk, he decided hired someone new upon his return to the firm. Namely Eleanor. The door to his office swung open and Eleanor escorted a beautiful woman with pale skin, dark eyes and dark shoulder-length hair inside. Cole’s eyes swept appreciatively over the visitor’s lithe figure and elegant appearance. A scent of orange blossoms surrounded her. Not bad at all, he thought. She could prove to be quite interesting for a night or two on the town. The new client spoke up. “I’d like a cup of coffee, thank you very much. And you can call me Suzanne.” Again, she smiled. It struck Cole odd that her voice reminded him of Olivia’s. “Does that mean you will consider me as a client?” Suzanne leaned forward, her eyes wide and appealing. Orange blossoms filled Cole’s nostrils. Suzanne returned his smile that seemed to hint promise of something more than business. “That’s wonderful. Listen, why don’t we discuss this matter over dinner, tonight? The idea of an evening with Suzanne Maxwell seemed appealing to Cole. He found her very attractive. And he could not recall spending a romantic evening with someone since his marriage to Phoebe, nearly nine months ago. Those evenings with Olivia had been spent with a close friend. Even if a part of him secretly wished it could be more. The Canadian woman gave him a tight smile. “Perhaps.” A chill seemed to have settled in the office. It left Cole feeling very uneasy. Suzanne Maxwell seemed disappointed. Too disappointed, considering they had just met. And he wondered why. “Aren’t you supposed to be working right now?” Cecile asked. She, Darryl and Olivia stood next to the latter’s BMW convertible, in the middle of the station’s parking lot. The two inspectors had caught up with her, before she could leave. Cecile took a deep breath. She glanced at Olivia, who nodded. Oh well. “I didn’t see anything,” she said. “What?” Both Olivia and Darryl had spoken at the same time. “Phoebe?” Cecile frowned. Who in the hell was this Phoebe? Now Cecile remembered. Obviously Darryl Morris believed that this Phoebe could receive a clearer vision. Perhaps she could. Cecile was not about to stand in his way. “I guess it wouldn’t hurt to get a second opinion,” she finally said, feeling a bit put out, but hiding her feelings. “As for me, I have a few stores to visit. Starting with Macy’s. Excuse me, but I’ll see you both later.” Cecile climbed into the BMW. As she steered the car out of the parking lot, Cecile’s thoughts returned to her recent premonition. Olivia must have guessed right. None of her premonitions have ever been so vague. At least not until she met Darryl Morris. Either there was something about his essence that blocked her vision, or the good inspector seemed destined to encounter something that might prove to be very powerful. Cecile hoped it was the former. “More like Darryl,” Olivia responded laconically. Darryl allowed Phoebe to take hold of his hand. She closed her eyes. He could hear her breathing heavily. Then . . . a gasp escaped her mouth. “What?” he demanded. A frown creased Darryl’s forehead. “That doesn’t sound like something foreboding,” he said. “Just another case to work on. Olivia’s friend told me that she had sensed something more serious.” A gust of breath left Darryl’s mouth. He saw a flash of doubt in Phoebe’s eyes. “Maybe she was imagining things,” he added. Olivia opened her mouth to speak. Instead, she shook her head and looked away. Somehow, the gesture did not make Darryl feel any better. “Then you shall be compensated,” Edward added smoothly. Men, he decided, can be incredibly greedy. He had seriously considered killing the Customs agent. But as he had told Rudolf, Ben Mallard might prove to be useful in the future. Edward nodded at Cousin Henry, who opened the safe. Henry returned to Edward’s desk, carrying a wad of bills. “Here you go, $67,000, plus an extra $5,000. All unmarked.” He stuffed the bills into a large yellow envelope. Just as Henry began to hand over the envelope to Mallard, a noise caught the attention of those inside the office. Everyone turned to stare at the figure standing in the doorway. A janitor, whose eyes were fixed on the envelope in Cousin Henry’s hands. Edward’s eyes narrowed dangerously. “Rudolf, why don’t you show the man out?” Edward nodded at the young warlock. Who strode toward the nervous janitor. The latter’s eyes popped out, as Rudolf slammed a wicked-looking knife in the janitor’s gut. The year 1995 saw the beginning of an onslaught of Britain and the United States’ love affair with British author, Jane Austen. A love affair that has not abated after fourteen (14) years. In 1995, the BBC aired Andrew Davies’ miniseries adaptation of Austen’s most famous novel, ”Pride and Prejudice”. And later that year, Hollywood released its adaptation of another Austen,”Sense and Sensibility” – which I had just recently watched. Directed by Ang Lee, ”SENSE AND SENSIBILITY”, starred Emma Thompson (who also wrote the screenplay), Kate Winslet, Alan Rickman and Hugh Grant. 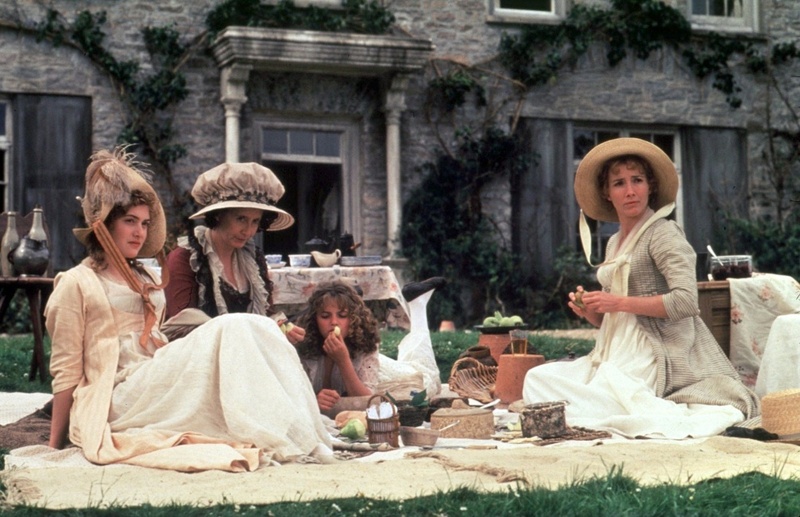 The story centered around Elinor (Thompson) and Marianne (Winslet), two daughters of Mr. Dashwood (Tom Wilkinson) by his second wife (Gemma Jones). They have a younger sister, Margaret (Emilie François), and an older half-brother named John (James Fleet). When their father dies, the family estate passes to John, and the Dashwood women are left in reduced circumstances. The story follows the Dashwood sisters to their new home, a cottage on a distant relative’s property (Robert Hardy), where they experience both romance and heartbreak. The contrast between the quiet and sensible Elinor and the extroverted and occasionally impetuous Marianne is eventually resolved as each sister finds love and lasting happiness. This leads some to believe that the story’s title described how Elinor and Marianne find a balance between sense and sensibility in life and love. Producer Lindsay Doran made an excellent choice in selecting Lee to direct the film. First of all, he drew some excellent performances from his cast – especially from Thompson, Winslet, and Rickman. Lee also effectively drew film goers back into Regency England without allowing the film to resemble some kind of stiff painting or a museum piece. Although he initially had trouble with dealing with Western-style of film making – especially in dealing with British cast members who questioned his direction and made suggestions regarding shots. He could be rather authoritarian with the cast, especially with Hugh Grant. The actor ended up calling him ”the Brute” behind his back. But he and the cast eventually got used to each other. Lee was also responsible for insisting that Thompson play the oldest Dashwood sister. And he Lee ordered Winslet to read poetry and novels from the late 18th century and early 19th century in order to get her to connect to Marianne’s romantic nature. And to give the movie its emotional core, he asked both Thompson and Winslet to room together during production. The two actresses remain close friends to this day. Not only was Lee ably assisted by his superb cast, but also by crew members such as costume designers Jenny Beavan and John Bright, production designer Luciana Arrighi, set decorator Ian Whittaker, art directors Philip Elton and Andrew Sanders; and cinematographer Michael Coulter, whose photography beautifully captured the English countryside in all of its glory. I especially have to give kudos to Coulter’s photography and Arrighi’s production design for a beautiful re-creation of Regency London. I also enjoyed composer Patrick Doyle’s score for the film. His use of John Dowland’s song, “Weep You No More Sad Fountains” as Marianne’s own theme song struck me as very impressive. But I have to especially give kudos to Emma Thompson for her marvelous adaptation of Austen’s novel. It may not have adhered exactly to the novel, but I found it well written, lively and paced just right. With the exception of two performances, I felt more than impressed with the cast. When Ang Lee had signed on as the movie’s director, he immediately suggested that Emma Thompson portray the oldest Dashwood sister, Elinor. Thompson considered herself too old for the role, considering that Elinor was at least 19-20 years old in the novel. But Lee suggested that she increase Elinor’s age to 27 in the screenplay, which would also make her distress at being a spinster easier for contemporary audiences to understand. Frankly, I feel that Lee made a good choice. Emma Thompson gave a superb performance as Elinor Dashwood, whose practical mind led her to act as the family’s de facto leader, following her father’s death. She also brilliantly conveyed Elinor’s emotional nature behind a mask of reticence via her eyes and various expressions. Kate Winslet had no need to be subtle as the more openly emotional Marianne Dashwood. Winslet was at least 20 years old when she filmed ”SENSE AND SENSIBILITY’. Yet, even at that tender age, Winslet proved that she had the talent and acting chops to portray the very complex Marianne. I found it ironic that although her character was not what I would describe as subtle. And yet, Winslet managed to convey all aspects of Marianne’s personality – romantic, willful, emotional and sometimes a bit self-involved. I found Alan Rickman impressive as one of the Dashwoods’ new neighbors, the quiet and dependable Colonel Christopher Brandon. I enjoyed the subtle manner in which Rickman expressed Brandon’s reluctance in expressing his love for Marianne, due to her feelings for another man. That other man proved to Greg Wise, who gave a surprisingly effective performance as the dashing, yet rakish Edward Willoughby. Wise has never struck me as an exceptional actor, but I must admit that I consider Willoughby to be one of his two best performances. The movie’s supporting cast also included Robert Hardy and the late Elizabeth Spriggs, who gave amusing performances as Sir John Middleton, the Dashwoods’ cousin and benefactor; and Mrs. Jennings, Sir John’s mother-in-law. Gemma Jones was excellent as the emotional and sometimes girlish mother of the Dashwood sisters. I was also impressed by Harriet Walter, who portrayed the sisters’ shrewish sister-in-law, Fanny Dashwood. And Hugh Laurie gave a hilarious performance as the sardonic and long-suffering Mr. Palmer, Mrs. Jennings’ other son-in-law. And I must say that Imogen Stubbs also impressed me by her subtle performance as the cunning and manipulative Lucy Steele, who seemed to have a claim for the same man that Elinor Dashwood longs for. Speaking of Elinor Dashwood’s love, I finally come to the two performances that had failed to impress me. One of them belonged to Hugh Grant. He portrayed Edward Ferrars, one of Fanny Dashwood’s brothers that happened to be in love with Elinor and is claimed by the manipulative Lucy Steele as her fiancé. Remember his charming, yet modest performance in the hit 1994 comedy, ”FOUR WEDDINGS AND A FUNERAL”? Well, his Edward Ferrars turned out to be an early 19th century version of his ”FOUR WEDDINGS” role. Grant simply gave the same performance, but with more stuttering and less charm. What had been fresh and original in 1994, ended up as old news a year later in ”SENSE AND SENSIBILITY”. Another performance that did nothing for me belonged to Imelda Staunton. She portrayed Charlotte Jennings Palmer, Mrs. Jennings’ daughter and Mr. Palmer’s wife. I realize that she was supposed to be an annoying character, but one could say the same about Sir John and Mrs. Middleton. But whereas I found Robert Hardy and Elizabeth Spriggs’ performances amusing, Staunton’s slightly over-the-top portrayal of Charlotte Palmer ended up irritating the hell out of me. I understand that Andrew Davies had produced his own version of the Austen novel, last year. Since I have yet to see it, I cannot compare it to the 1995 version, directed by Ang Lee. I do know that I am more than impressed with this particular version. It came as no surprise to me that it earned seven (7) Academy Award nominations and won one (1) for Thompson’s Adapted Screenplay. ”SENSE AND SENSIBILITY” is one movie I could watch over again without ever getting tired of it. But the one scene that caught me by surprise centered on a brief conversation between Leckie and Sledge, inside the former’s tent. That the producers would feature a meeting between the two did not surprise me. After all, ”THE PACIFIC” is a historical drama, not a documentary. There were bound to be some historical inaccuracies. I have yet to see a historical drama that DID NOT have historical inaccuracies – including the much lauded ”BAND OF BROTHERS”. What I found surprising about this scene was that actors James Badge Dale and Joseph Mazello made it clear in this ARTICLE that they did not have any scenes togethers. Guys? Lying is a big “no, no” to me. Episode Five was a pretty damn good episode. Audiences managed to witness a full-fledged battle sequence in the daylight for the first time since this episode aired. But I have one major complaint. It ended too soon. I realize that the Peleliu campaign will stretch out in two more episodes, but I still believe that this particular episode should have had a longer running time. Romantic comedies – at least those I have personally found entertaining – have become increasingly difficult to come across in the past decade or two. In fact, I can honestly say that I can count at least five or six romantic comedies that I have truly liked during this period. And recently, ”THE UGLY TRUTH” became one of them. Directed by Robert Luketic, ”THE UGLY TRUTH’ told the story of Abby Ritcher, a romantically challenged producer of a television morning show named with slowly declining rating. In an effort to boost ratings, her manager hires a cynical and slightly crass television personality named Mike Chadway, who gives seemingly chauvinist comments about love and marriage to boost ratings. The two commence upon a rocky relationship. But when Abby falls for her next door neighbor, a handsome doctor named Colin, Mike persuades her to follow his lead. She agrees to his helpful advice and if he can get her the man she wants, proving his theories on relationships she will work happily with him. But if Mike fails, he agrees to quit. I might as well put my cards on the table. I really did not expect ”THE UGLY TRUTH” to be entertaining. But much to my surprise, it was. And most of the entertainment came from the screen chemistry that generated between Katherine Heigl and Gerard Butler. On screen, the pair was a basket of firecrackers, as they traded barbs, looks and kisses between each other. Heigl gave a deliciously funny performance as the uptight Abby, who stubbornly refuses to give up her ideal views on romance and especially in what she construed as the perfect man. And Butler was a hoot as the cynical, crass and yet witty Mike, whose views on romance and both genders came off as refreshingly honest. Both Heigl and Butler were ably supported by a solid cast. Cheryl Hines and John Michael Higgins were hilarious as Georgia and Larry, the married co-anchors of Abby’s morning show, whose marriage was saved by some blunt advice given by Mike. Bree Turner gave a sly performance a Abby’s assistant, Joy, who lived vicariously through Abby and immediately sensed the chemistry between the latter and Mike. Nick Searcy provided stability to the cast as Abby’s no-nonsense manager, Stuart, whose decision to hire Mike would change Abby’s life. The only bad apple in the bunch came from Eric Winter’s performance as Colin, the object of Abby’s desire. Let me be clear . . . Winter did not give a bad performance. He simply had the bad luck to be saddled with a dull and one-dimensional role created by the screenwriters. Robert Luketic did an excellent job of not only generating hilarious and first-rate performances from his cast. He also did justice to the screenplay written by Karen McCullah Lutz, Kirsten Smith and Nicole Eastman. And I must commend the screenwriters for creating a hilarious and entertaining romance. But I am also amazed that three female writers managed to avoid indulging in constant male bashing jokes (I said constant, for there were a few) and reveal that both men and women are guilty of bringing their own particular baggage to relationships. As I had stated earlier, their only misstep was the creation of the Colin character. Surely they could have created a more interesting rival for Abby’s heart. Most critics gave ”THE UGLY TRUTH” mixed reviews. Some claimed that Heigl and Butler had no chemistry. Others claimed that Lutz, Smith and Eastman’s screenplay did not live up to the leads’ talent. They are entitled to their opinions. But I prefer to form opinions of movies on my own. And as far as I am concerned, I found ”THE UGLY TRUTH” – especially Heigl and Butler’s performances – to be very entertaining. When I first saw the trailer for the third installment of the ”PIRATES OF THE CARIBBEAN”, I thought I was in for an overblown and possibly unentertaining movie. Quite frankly, the trailer did not impress me very much. And then word came out once the movie was released around May 24-25 that the movie was either confusing or not as good as the first two. I had approached ”AT WORLD’S END” with very low expectations. Thankfully, my expectations proved to be wrong. ”AWE” does not really have a complicated plot. Thanks to James Norrington’s (Jack Davenport) treachery in ”DEAD MAN’S CHEST”, the world of piracy finds itself in danger due to Lord Cutler Beckett’s (Tom Hollander) possession of Davy Jones’s heart. With Jones and the Flying Dutchman under his control, Beckett has the power to rid the seas of pirates and ensure that the British Crown, the East India Trading Company and himself will have control of the world’s seas. The recently resurrected Barbossa seemed to feel that the only way to stop Beckett is to summon the nine pirate lords of the Brethren Court. Both he and the recently deceased Jack Sparrow happened to be part of the Brethren Court. Because Jack had failed to name a successor, Barbossa needs Jack alive to take part in the meeting of the pirate lords. Will, who had witnessed a kiss between Elizabeth and Jack in ”DMC”, wants Jack alive for two reasons – he believes that Elizabeth is in love with Jack and he needs the Black Pearl to catch up with the Flying Dutchman. Elizabeth wants to bring Jack back to alleviate her guilt for luring the eccentric pirate to his death in the last film. Tia Dalma, the Vodoun priestess who had resurrected Barbossa needs both the latter and Jack for the “pieces of nine” that represent their positions as pirate lords. Those same pieces of nine could free Dalma from her bodily prison, enabling to become her true identity, the goddess Calypso. I thought I would have trouble keeping up with so much treachery being committed. Oddly enough, I never did – aside from a few points. If Barbossa, Will and Elizabeth needed a ship so badly to reach the World’s End (Davy Jones’ Locker), how on earth did they reach Singapore in the first place? At first, I wanted to criticize the writers Terry Rossio and Ted Elliot for their vague explanation of the curse that had bound both Davy Jones and later, Will to command of the Flying Dutchman. Many fans – including myself – were forced to use the Internet to find out the details of the curse. As it turned out, Elliot and Rossio did include a scene in which Tia Dalma/Calypso had explained the curse in detail to Will. But for some reason, the film’s editors decided to cut it decrease the movie’s running time. Idiot editors. All they did was end up confusing a lot of fans, considering Elliot and Rossio confirmed that the Flying Dutchman curse was broken in the post-end credits scene when Will returned to Elizabeth for good. Other than that, I truly enjoy the movie’s story and have to commend the writers for doing a better job than I had anticipated. And Geoffrey Rush came pretty close to stealing the picture from Depp. This time, his Barbossa turned out to be a much more complex and ambiguous than he was in ”CURSE OF THE BLACK PEARL”. Sure, we saw more of Barbossa’s villainy and double-crossing. But this is the same guy who also had no problems with marrying Will and Elizabeth . . . even in the middle of a sea battle. I swear that was one of the craziest wedding ceremonies I have ever seen on the movie screen. And when he double-crossed Jack for the last time, at least he was kind enough not to put Jack’s life in jeopardy. Both Naomie Harris (who seemed a bit scary at times) and Bill Nighy provided great pathos as the romantically doomed Tia Dalma (Calypso) and Davy Jones. I especially enjoyed their scene in which each confronted the other with their past betrayals. Tom Hollander seemed to take great pleasure in his portrayal of the villainous Lord Beckett. Quite frankly, I can say the same about Chow Yun Fat, who seemed to enjoy delving into Sao Feng’s villainy. I had feared he would end up chewing the scenery, so to speak. Instead, he managed to come off as intimidating as Rush, Hollander and Nighy (and Harris, I may add). My only real complaint has to be Jack Davenport’s presence in the movie. Davenport has allowed his James Norrington to become a sad figure haunted by his ever-continuing love for Elizabeth and his betrayal in the last film. And I thought that he did a marvelous job in conveying Norrington’s regrets over his DMD actions. Unfortunately, there was not enough of Norrington in the film. Hell, the guy who portrayed Beckett’s right hand man – Mercer – had received more screen time. And there is something wrong with that. But I feel that the movie truly belonged to Orlando Bloom and Keira Knightley as the young lovers – Will Turner and Elizabeth Swann. The pair’s characters and performances really struck a chord with me. Instead of the naïve and sweet lovers they had portrayed in the first film, the pair had become more ambiguous and complex. It seemed interesting to watch these two deal with each other’s insecurities, mistaken beliefs and constant sniping. They actually seemed like a real couple, instead of an idealized one. Most of the movie critics have praised Knightley for her performance. Granted, it was a major improvement over her acting in ”DMC” in which she had seemed a bit over-the-top at times, I do believe that Bloom deserved some of that praise, as well. But because he is a major teen idol, the critics have seemed fit to either ignore him or make insulting comments about his acting. I can only assume that their noses were so far up their asses that they failed to notice Bloom’s obvious talent for pathos . . . or the fact that he can be rather funny – especially in a scene in which he had volunteered to take command of the Black Pearl in the middle of one of Jack and Barbossa’s many shipboard quarrels. I hope that one day, Bloom will finally be appreciated as a good and dependable actor. The movie has its flaws – especially the vague handling of the Flying Dutchman curse and James Norrington’s character – but I must admit that I was surprised that I managed to enjoy it a lot more than I had assumed I would. I have also heard rumors that Bruckheimer and Verbinski plan to make a fourth ”PIRATES” movie. I honestly have no idea on how to react to that. They are lucky in which they have managed to create three exceptional films. I cannot help but wonder if they are in danger of pushing their luck with a fourth one. Oh well. Only time will tell.